In this three post series, the first two posts are a short summary of the complex challenges Life Science companies face; in Therapeutics and Diagnostics in this post and in Medical Devices and Digital Health in Part 2. Part 3 explains our hypothesis about how to change the dynamics of the Life Sciences industry with a different approach to commercialization of research and innovation. And why you ought to take this class. The second class of drugs created by biotechnology is called biologics (also referred to as New Biological Entities or NBEs.) In contrast to small molecule drugs that are chemically synthesized, most biologics are proteins, nucleic acids or cells and tissues. Biologics can be made from human, animal, or microorganisms – or produced by recombinant DNA technology. Examples of biologics include: vaccines, cell or gene therapies, therapeutic protein hormones, cytokines, tissue growth factors, and monoclonal antibodies. In a perfect world the goal is to develop a drug that will go after a single target (a protein, enzyme, DNA/RNA, etc. that will undergo a specific interaction with chemicals or biological drugs) that is linked to a disease. 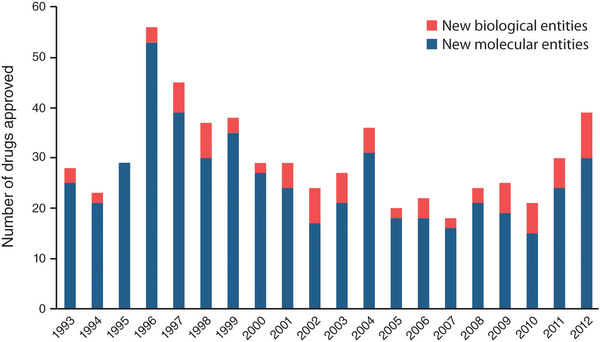 For the last two decades, biotech venture capital and corporate R&D threw dollars into interesting science (find a new target, publish a paper in Science, Nature or Cell, get funded.) The belief was that once a new target was found, finding a drug was a technology execution problem. And all the new tools would accelerate the process. It often didn’t turn out that way, although there are important exceptions. This is an interesting approach but the biggest challenge for therapeutic development is uncertainty due to inadequate understanding of biological systems and disease mechanisms. The lean startup process may work better for digital health, diagnostics, and devices than it does for therapeutics. I’ll be interested to learn about your experience and hope you will blog about the class as it proceeds. 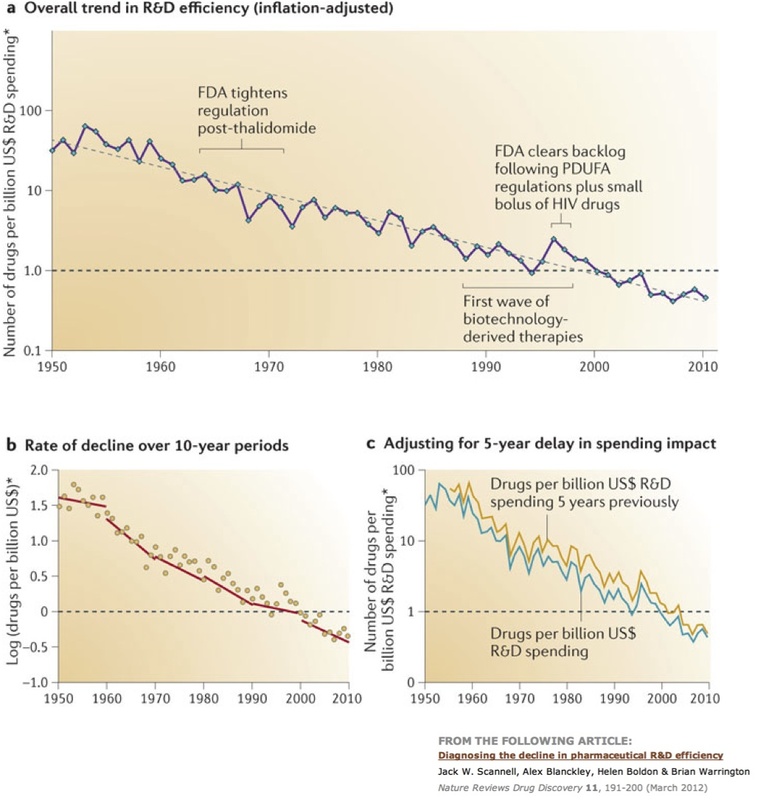 Surely there must be a way of introducing some for of lean start in R&D process for getting the therapeutics .Current model isn’t just sustainable. Wow, Steve! I have been thinking about how your methodology can be applied to the life sciences industry. I am currently working on instituting your methodology in my own start-up which is in the dermatology space. I also hope to expand into medical devices and mHealth. I am so looking forward to your posts about this subject and your class at UCSF. Thank you so much for doing this!!!!! In addition to the challenges with regulation, another enormous hurdle is distribution. Lets say you raise 100M to do a clinical trial, or even better get 510k approval, then what? Getting a device into the market requires a huge sales force. This means another huge round of funding and the immense challenge of recruiting reps from the top device companies. Now lets say you even succeed at building a sales force. You can start selling but it generally takes a surgeon 12-24 months to change products. The physician needs to be trained, they have to visit other physicians to see the device in action. They will travel to conferences and talk to local peers to get others experience with it. Implanting a device into a patient is not like signing up for Netflix. The start up has to invest a ton a money to get the surgeon to use the product only once! I’m looking forward to part 2 of medical devices and digital health. I believe software will play a pivotal role in creating efficiencies in the distribution of devices. Online training, virtual observations, streamlined amazon style order processes will be essential to minimize the time and cost of the distribution cycle. Finding ways to shorten the regulation cycle, like 510k clearance, while also shortening the distribution cycle, could be ways to create “lean start ups” in the life science space. I’m a big fan and appreciate all of the work and time spent writing this series. Most in the tech world frankly ignore healthcare – outside of digital health. As a healthcare VC/PE investor for the past decade, I agree with much of what you are saying – the FDA has gotten harder, low hanging fruit drug targets have been found and exploited, funding for Series A biotech and device companies has fallen. And fundamentally, the cost of a clinical trial is not compressible by orders of magnitude like the cost of starting an e-commerce company has been over the past 15 years. But with all due respect, your article above is missing the boat on one key issue – healthcare returns have actually vastly outperformed tech returns in VC for the past decade. The idea that life sciences VC is dying is largely perception and not grounded in reality. The perception is fed by WSJ editorials by VCs complaining about the FDA and lots of doom and gloom about the space. In fact, over the 30 year recorded history of VC returns, healthcare outperforms IT/internet in aggregate except during the go-go investment vintages of 96-98. So the sky is not falling in life sciences in terms of LP returns., But the perceptions of the space are somewhere between awful and terrible. Many of the best and the brightest kids wont major in life sciences in undergrad because the perceived ability to scale quickly in IT is far greater. That is bad. And it may be true – life sciences companies take time to grow. They require more capital to exit. But when early signs of clinical success are shown, there is a very formulaic path to exit success. This time required leads to another factor that has fueled the negative perception – namely the fact that there are essentially no mark-ups in LS venture from round to round. The entire unrealized healthcare universe is being carried at a 0% IRR vs. IT/Internet which thrives on mark-ups from round to round. Because companies take time and LPs faced hard decisions coming out of the financial crisis, VC firms in the LS space have been devastated with many venerable brands not being able to raise new early stage biotech / medtech funds or the fundraising taking 2-3 years to complete with major young partner attrition. And finally, many historically LS firms/partners have recently become 100% focused on “digital health” – and as exciting as that space is over the long term, today it is challenging, has suffered from poor returns over 30 yrs, and is an oligopoly structure with a few major insurers, hospitals, and EMR companies controlling the fate of most start-ups and no meaningful consumer health opportunity to actually point to despite incubator hype in that direction. This is all happening in the midst of a record biotech public stock index – and an unprecedented number of biotech IPOs in the past 6 months. So I’d urge you to paint a full picture – as you always do in your writing and classes – when describing the healthcare space. It’s not as bad as people think in medtech and biotech – and it’s not as good as people think in digital health. You said the sky is not falling, but agreed that the brighest minds are not studying life science; top funds are closing down; others are shifting their focus to digital health; new companies can take many years and large amounts of funding to get to market. It sounds pretty tough to me. I do agree there are many opportunities in life sciences that the software world often overlooks. Everyone has heard of Instagram, but how many people have heard of Ardian? Ardian was also sold for 1B in less than 5 years. But Ardian doesnt make an app for photo sharing; Ardian makes a catheter for renal denervation to treat hypertension–the number one cause of death worldwide! Still, life science companies can learn something from software companies, and explore ways to lower capital requirements and time to market. After all, 15 years ago no one practiced the lean methodology in software either. I know I am oversimplifying this discussion and I understand the need to create new and improved pharmaceuticals. On my end of the spectrum as a nurse, there needs to be a better method for collaborative care and pt. education/follow up. There is a huge gap in collaborative healthcare between successive hospital stays, possibly at more than one hospital and the follow up visit to PCP or specialist. I am in a rural area where the pts. just don’t have the initiative to try to understand disease process and medications. During a hospital stay and especially at discharge I sometimes have as many as 5 sets of papers to educate the pt. about (such as outpatient. labs and diagnostics, need to see a specialist, home health, ability to pay for meds, disease process, and specific medication education). I try to stress the importance of this information and lifestyle changes but I often see the pt. readmitted within 6 months time and sometimes within weeks of discharge due to non-compliance. Melisa, I think you have made an important point. Although the debates over the cost/rewards of therapeutics/devices/ diagnostics/digital are valid and valuable. I also believe that there are many business model opportunities that are available for exploitation outside of these major markets. From the perspective of patient experience, care and management, some of the most inventive and innovative business successes are likely to be perfect for the Lean Startup methodology and processes. It is in these areas that I am most excited and optimistic. Regulatory and technical challenges are less important, patient gains can be realized earlier at a lower cost, and, critically, founders and early investors can experience exits more easily.